What makes a photograph work? How do we know if a photograph is good? What are the qualities that define a good photograph? These are difficult questions to answer, and to some extent they will differ from person to person. Sometimes we see a photograph and are immediately drawn to it. There is something about it that draws us in, captures our attention or evokes an emotion. Other times we see a photo and move on, only later to realize we keep going back to this photo over and over again. It didn’t immediately catch our attention but still somehow managed to hook us. But why do these things happen? How can you identify the photos that will do these things? There’s not an easy answer. Perhaps that’s why George Barr chooses not to specifically define it in words but instead created an entire book full of examples, full of photographs he feels work. Why Photographs Work is that book. The subtitle is 52 Great Images: Who Made Them, What Makes Them Special and Why. 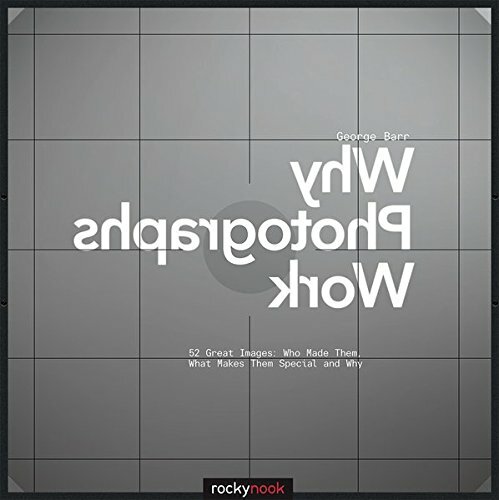 Why Photographs Work, by George Barr, is a collection of 52 photographs by 52 different photographers. The photographs cover a huge range of subject matter, some vastly different from others, but all representative of photography as art. It’s such a range of photography there’s very likely to be something that catches your eye. In this post I’ve attempted to include an example of the range of photographs in the book. George’s Analysis: Here he analyses the photograph, describing what it is that drew him to the photograph and why he thinks the photograph works. I agree with him on most of the photographs, but there are some that don’t appeal to me as much, likely just a result of personal preferences. I can, however, see where he is coming from when he speaks of the qualities of the photos. This section is worth going back to, rereading from time to time. The Photographer’s Perspective: In this section we hear from the photographer. What caused them to create this photograph? What does it mean to them? 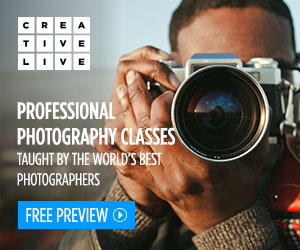 How do they approach photography? Biography: This section provides a biography of the photographer, listing where they’ve been published, how they make their living, who their influences are, and where you can view more of their work. Technical: This is typically the shortest section. It provides technical details about the photograph, such as what camera or lens were used, what film or whether it was digital, and what techniques the photographer used both in camera and in post-processing or printing. The lessons in this book are not explicitly taught. The lessons are more subtle. It will take time to absorb them. Study the photographs first, see if they appeal to you. If so, why? See if you can express what you see as their strengths. Then read George’s analysis, see what he felt made the photograph work, what drew him to it. Then read what the photographer has to say. I found myself flipping back an forth between the text and the photograph as George or the photographer mentioned some aspect of it I’d not noticed. Why Photographs Work can also be used as a list of photographers to learn more about, whose work is worth seeking out and studying. First off there are the 52 photographers whose work is included in the book. Many of the photographers also recommended other photographers, and George Barr has compiled a list of these at the end of the book. I plan to spend some time looking for works by these photographers. He says in his intro he wrote this book for himself. That this was the sort of book he wished were available when he was learning photography. 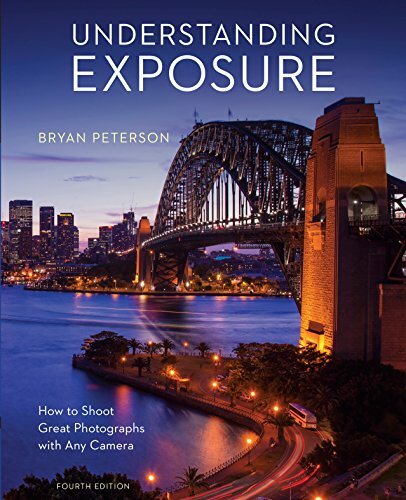 It’s a book I’m glad is available as I learn photography. I strongly suspect I will return to this book often, as I do with so many of my favorite photography books. Highly recommended! I periodically post reviews of entertaining or useful books I've read. Sign up for my weekly email newsletter to hear about these reviews and everything else I post.